September 17th marks the release of Kingdom Hearts in the United States, so to celebrate I thought I’d post about it. The Kingdom Hearts series is emotional, challenging, nostalgic, and downright gorgeous. 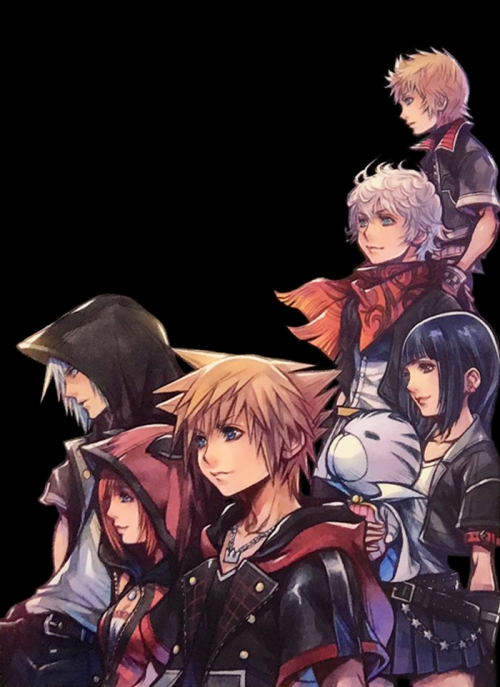 Not only are the graphics lovely, but Tetsuya Nomura's fashion designs are too. 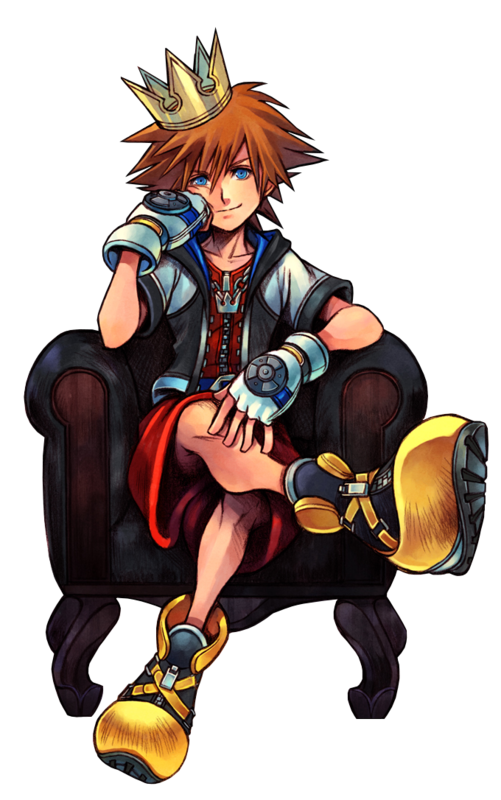 So, I’ll be looking at Sora’s seven most stylish outfits in the KH series. From the moment I laid eyes on the Kingdom Hearts’ Halloween Town world, I knew it was going to be awesome, but I was not prepared for how spooky stylish Sora and the gang would be. 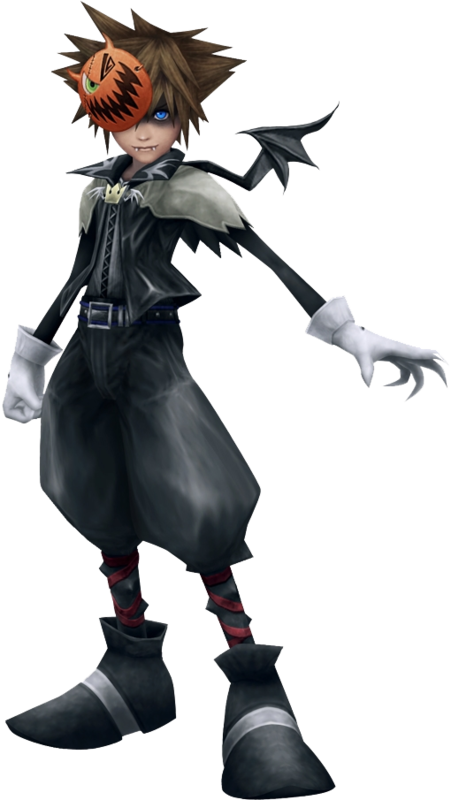 One cannot deny that Sora looks cool as a vampire. Plus, if you notice, the upper part of his face is ashen, making him appear half dead. Nice touch, Square Enix. Can I just say that I love all the Drive Forms? I mean, some of them are kinda-sorta creepy (*ahem* Anti Form. You know, the one where Sora looks like a heartless? ), but Sora still looks amazing wielding two Keyblades no matter which Form he's in. However, if I had to pick, I would narrow it down to Final Form and Limit Form. Final and Limit Forms are some of the most fashion-forward Forms of the group. I mean, you have Final Form, which shows Sora in black white. He looks exceptionally radiant! The Kingdom Hearts II outfit is perfection. After all, black is always in and always flattering. 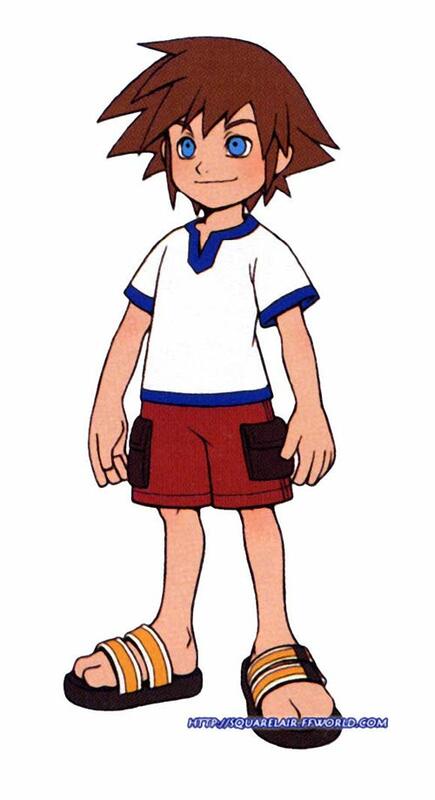 It’s no different with Sora rocking the more mature look. Plus, his clothes can transform into all the Drive Forms, so in a way, you get the whole package. Daw, he even looks dashing when he's goofing off. Sorry, I love cats, and Sora as a big cat makes me squeal. 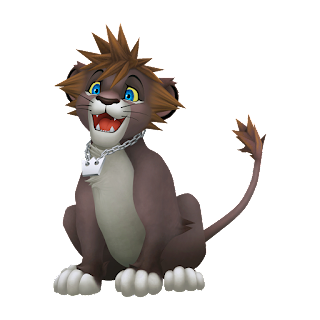 Anyway, I thought it was cute to see Sora as a lion cub (with a tiny crown chain) and everyone else as an almost equally cuddly critter. What’s nice about this appearance is that you’re able to move quicker and skid easily across the Pride Lands. I'm not "lion," Sora looks great. OH MY GOODNESS GRACIOUS! Yet another fabulous Sora form. 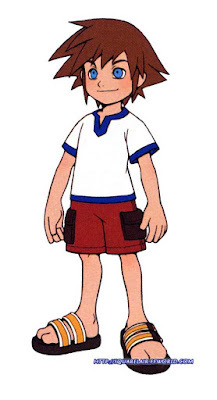 I mean, come on, Sora (who is already adorable) as a child?! Who could resist his sweet face? When I first saw him (and then heard him in Birth By Sleep), I couldn’t help but want to give that boy a hug. His innocence and light is even more delightful in childlike form and fashion. From his nicely cut shirt to his spiffy sandals, the boy definitely wears it right. And to think, he grows up to be a darkness destroying machine. 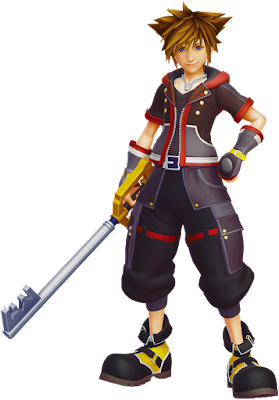 It’s sleek, it’s simple, it’s what his Kingdom Hearts' first outfit should have been. 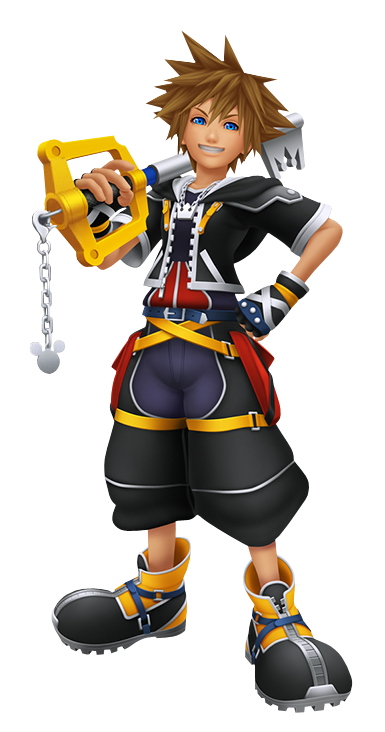 Okay, I won’t go that far, I still thought Sora's first outfit was fine... goofy, but fine. Sora spends the entirety of Dream Drop Distance asleep, but he still has grown (maybe not in appearance but in experience) and so too must his wardrobe. 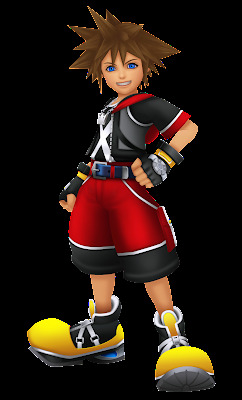 His feet aren’t clown feet and the color tones (red looks amazing on him) suit Sora. For all those who have played Dream Drop Distance, you'll agree that if there's one flaw in Sora's attire throughout all the games, it would have to be all those "X"s. And thank goodness we don't see any of that mess in Sora's new outfit. As Sora gets older, it seems like he’s leaning towards darker shades for his wardrobe...and I am not complaining. These tones (like the red) definitely look great on him, and I actually like the touches of plaid on his collar. Sora goes for a more sporty and sheik appearance, and it seems that Riku and Kairi have done the same, even if their outfits haven’t completely been revealed.